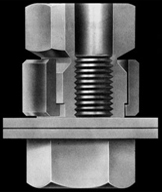 Since 1970, GNI has specialized in the design, engineering and production of a wide range of torque controlled and high security fasteners for Original Equipment Manufacturers. GNI, the leader in custom tamper-proof and torque limiting engineered fasteners has expanded its product line to meet the ever growing demand for innovative solutions to today’s fastening and joining requirements. GNI is a custom design,engineering and manufacturing organization. We are not a distributor, do not stock and do not sell individual pieces. 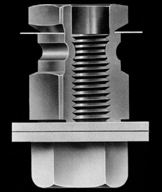 Parts are specifically designed for each customer’s requirements and produced by GNI on a as needed basis. Our designs are entirely flexible. Examples shown on this site are meant to display the various unique features and capabilities that can be specified. GNI will tailor any of its proprietary designs or develop new ones to meet any torque limiting or tamper proof requirements. Let us put our award winning design and engineering team to work for you, solving your torque limiting and security problems as we have for so many leading international corporations.